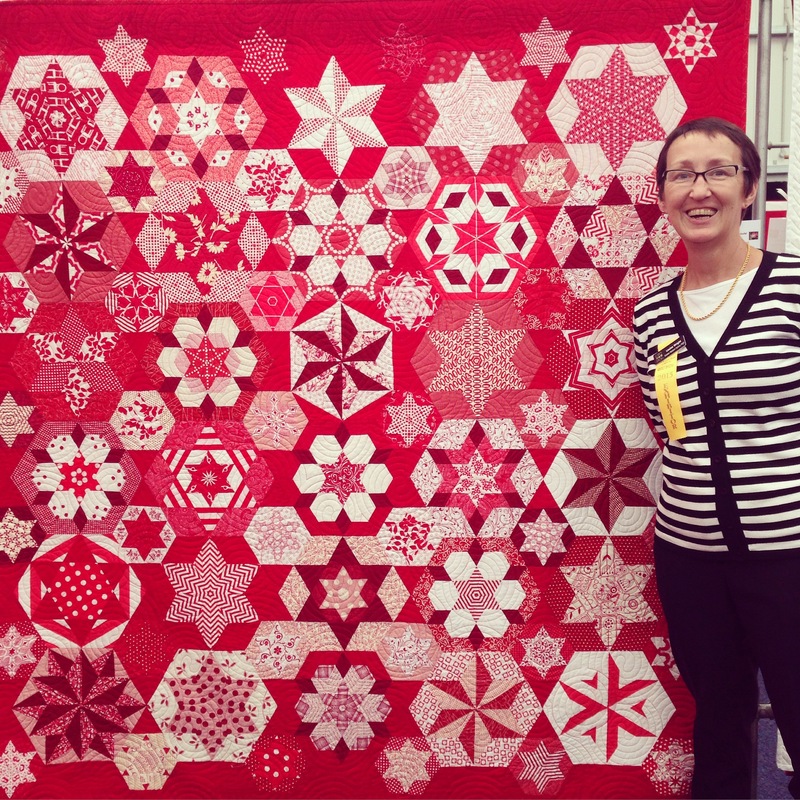 It’s that time of the year again- the 2015 Sydney Quilt Show has come and gone, faster than you can say “wait, they’re selling rotary cutters for how much?” Run by the Quilter’s Guild of NSW at Sydney’s temporary exhibition centre on Glebe Island (which is neither in Glebe, nor an island…) the event was, once again, a landmark event on the Sydney quilting calendar. 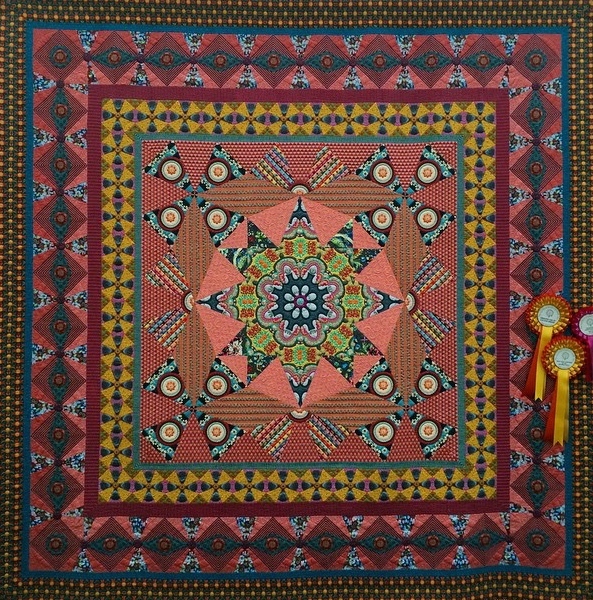 GWSMQG made a strong showing, with nine member quilts and one group quilt hanging in the show, and four members were rewarded with six prizes, most notably Catherine, who won three prizes: second prize in the ‘Traditional’ category, the ‘Creative Use of Colour’ Award and the ‘Best Original Interpretation of a Traditional Quilt’ Award for her riotously colourful ‘Carnaby Street’ quilt. 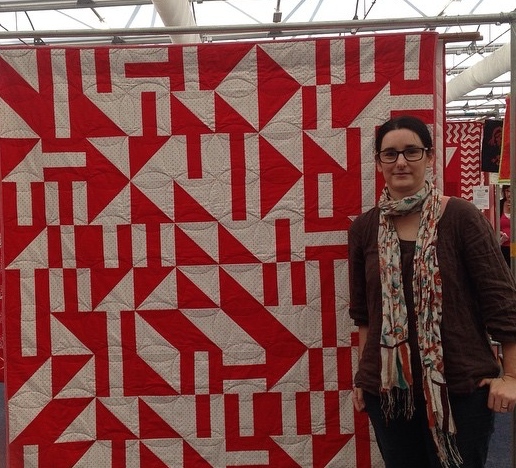 Lorena won first place in the ‘commercially quilted’ category with her beautiful ‘Wingdings: a variety of symbols’ quilt, a red and white vision of Chuck Nohara’s patterns (custom quilted by Michele Turner), while the teal version of her Opal Essences quilt, ‘Under the Sea’ was also hung. 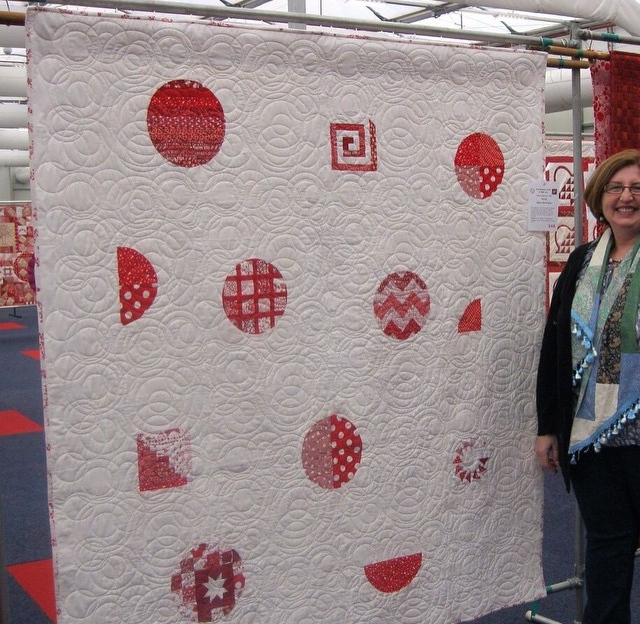 Louisa, a first-time entrant, won third prize in the same commercially quilted category with her ‘Stargarden’ quilt, (quilted by GWSMQG member Jane Davidson), while her ‘Chardonnay and Shiraz’ quilt, made from the ‘Hexagons and Stars’ pattern by Catherine Butterworth was also hung in the red and white display. 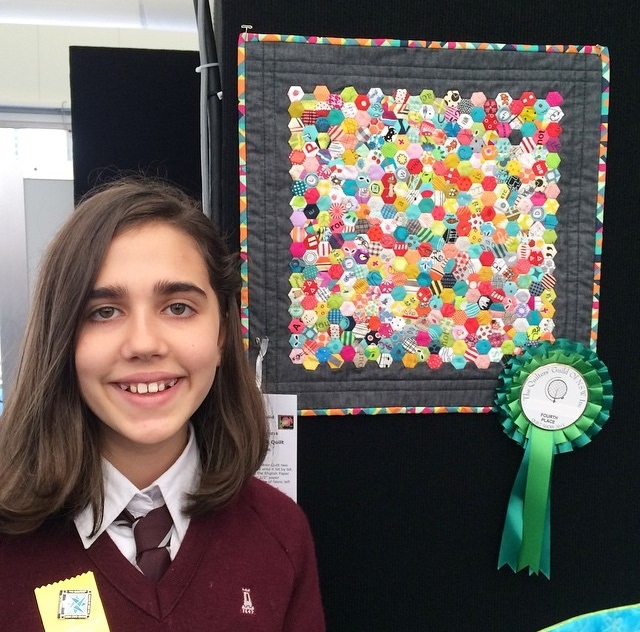 Junior Member Sofia won fourth prize in the Junior Quiltmaker B (years 7-12) category with her ‘Itsy Bitsy Hexie Quilt’. 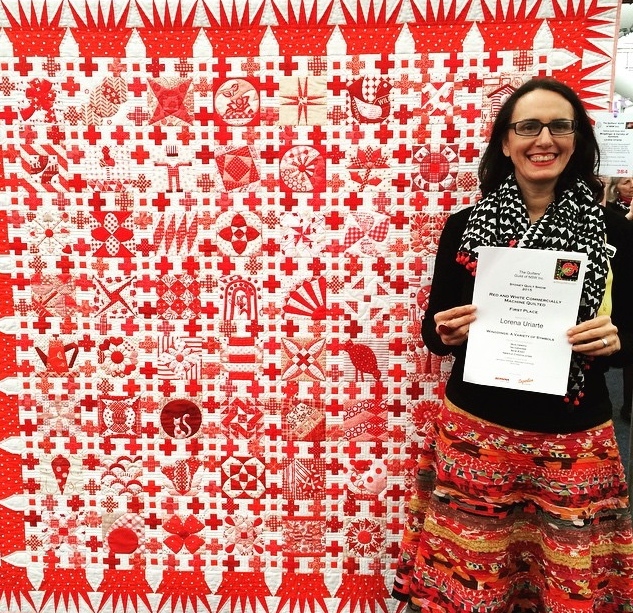 The red and white quilts category this year attracted a number of our members to enter the show for the first time: Hilary McFarlane showed her very modern quilt, while Kathy’s ‘Subdivision Quilt’, which you may remember having seen in black and white next to Ginevra’s colourful version at the Modern Quilt Show in Kiama recently, flew the modern quilting flag in red and white. 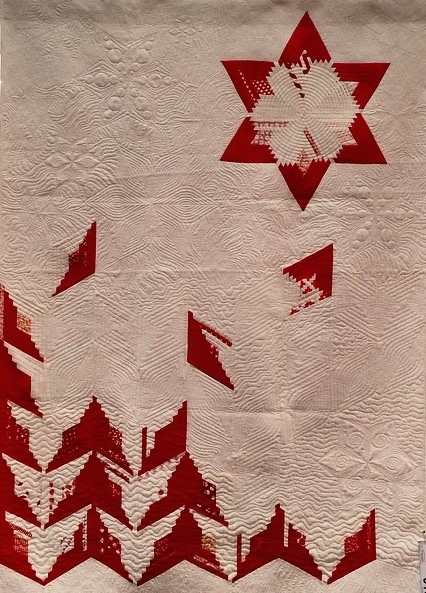 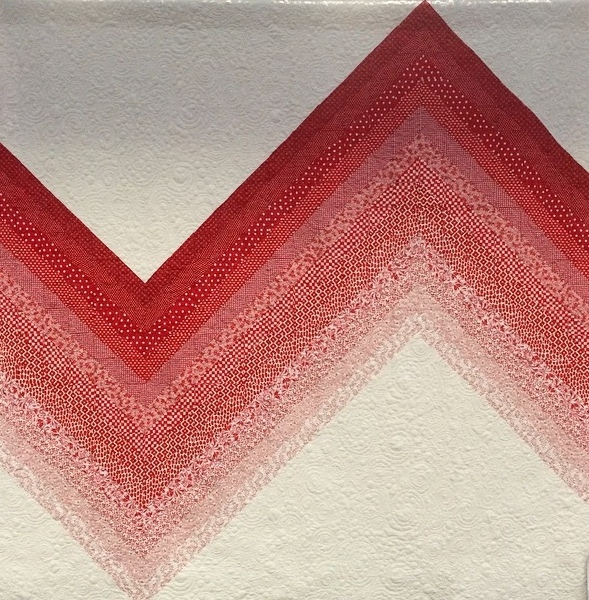 Sue displayed a fantastic large-scale gradiated chevron quilt, and the GWSMQG group quilt, ‘Break from tradition’, (made from foundation paper-pieced diamonds and custom quilted by Jane Davidson), attracted lots of compliments from show-goers. 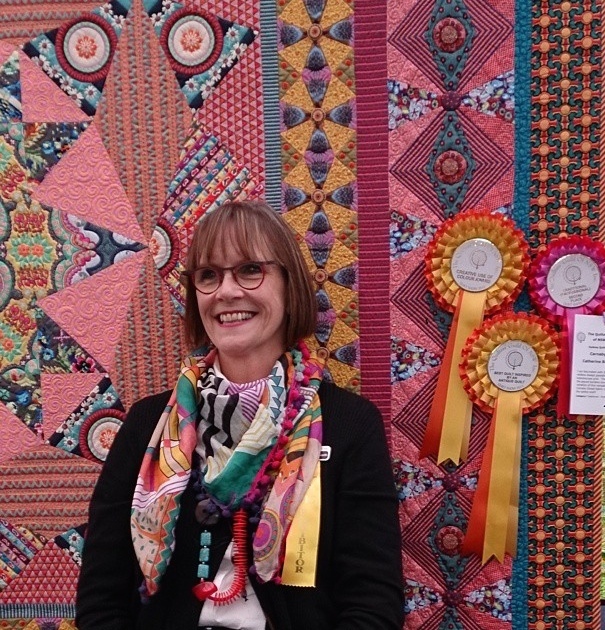 GWSMQG members were also staffing a number of the stalls: Sue Miller with her Fabric Garden store, while Caroline Gunn and Narelle Morris were winning over hearts and minds (but perhaps not wallets) at the Handiquilter stand, where many members were spotted trying their hand at the Avante machine. 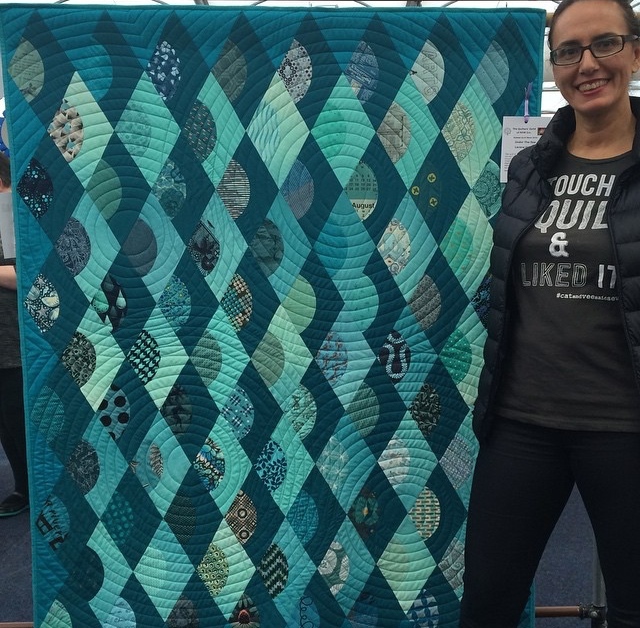 It’s always fantastic to see quilts that we’ve seen progress and develop over the year at our Sunday Sewalongs and Monday Meetups hanging and being admired by the general public. 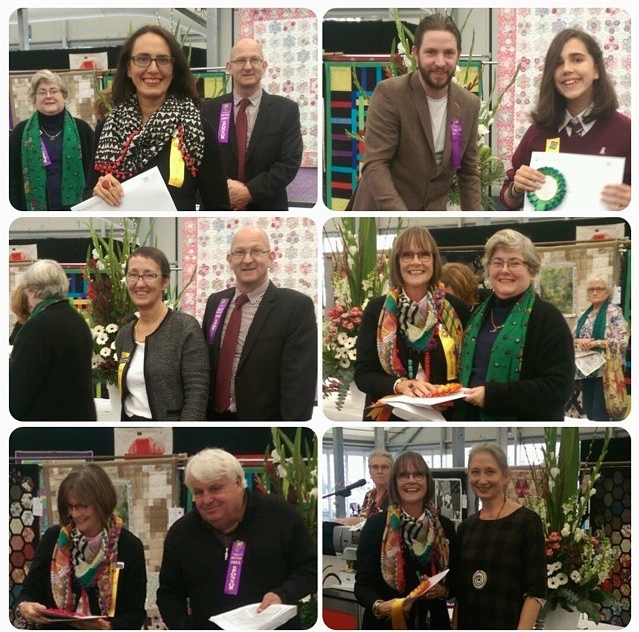 Congratulations to all entrants and award winners! 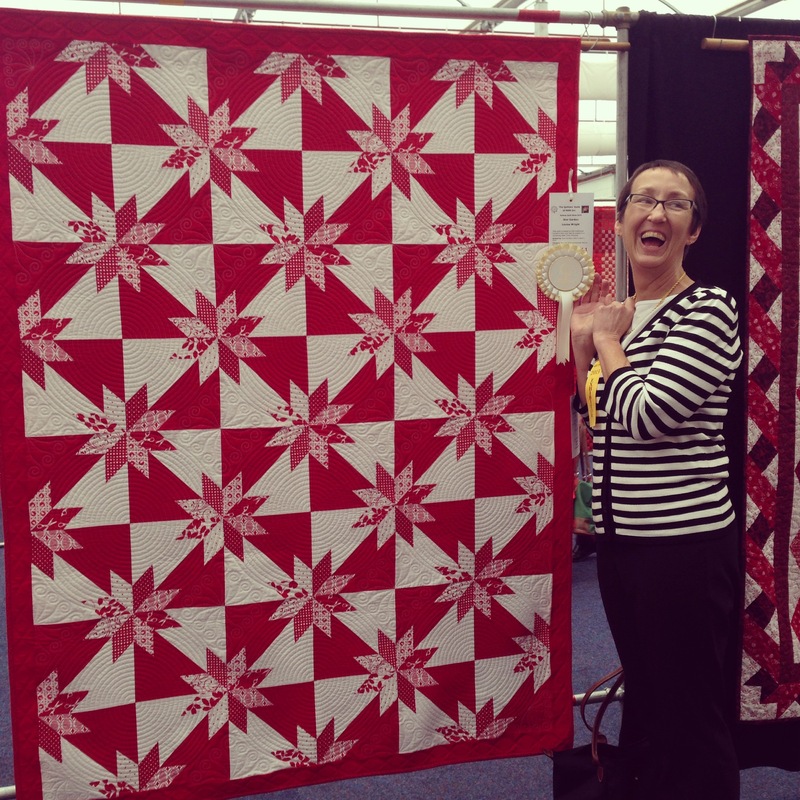 And to all our members: now is the time to start planning for next year’s show!